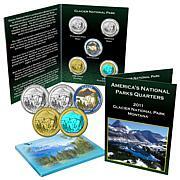 Add some pizzazz to your collection with this spectacular collection of National Parks Quarters. 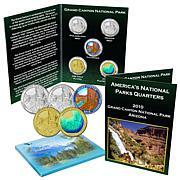 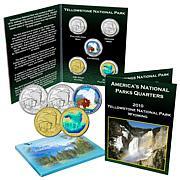 It includes gold-plated, colorized, hologrammed and brilliant uncirculated coins celebrating America's national parks. 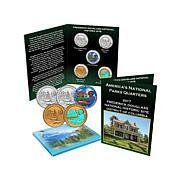 They make a wonderful addition to an existing collection or a great way to start someone on a lifelong love of American history and coins. 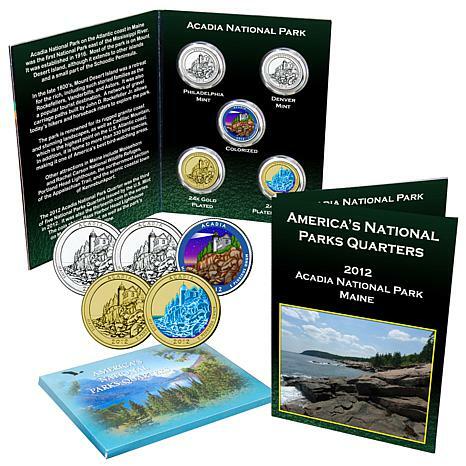 Reverse: Depicts a view of the Bass Harbor Head Lighthouse and Acadia's rough coastline The design captures many representative elements of Acadia: the coastline, the lighthouse, the pine trees and the ocean Inscriptions are "Acadia," "Maine," "2012" and "E Pluribus Unum"